Home / Equipment / 14 easy steps on how to buy awesome new running shoes! 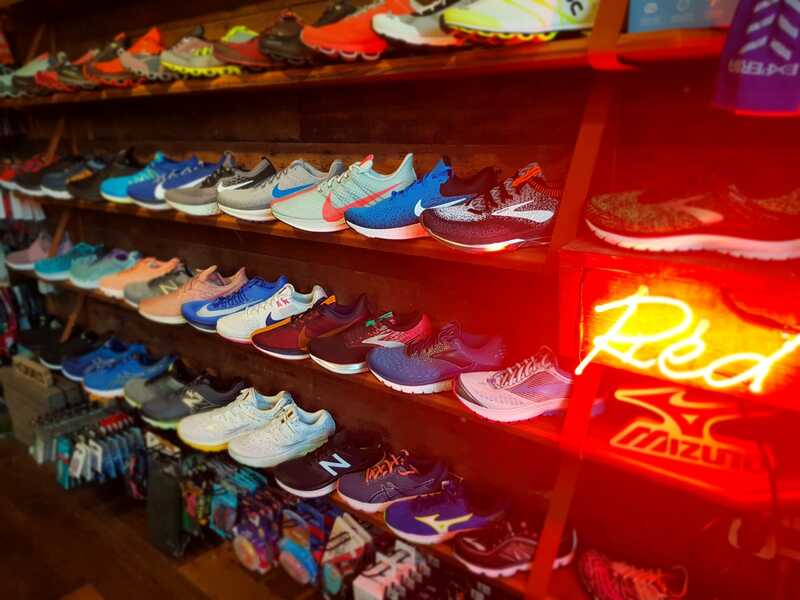 14 easy steps on how to buy awesome new running shoes! 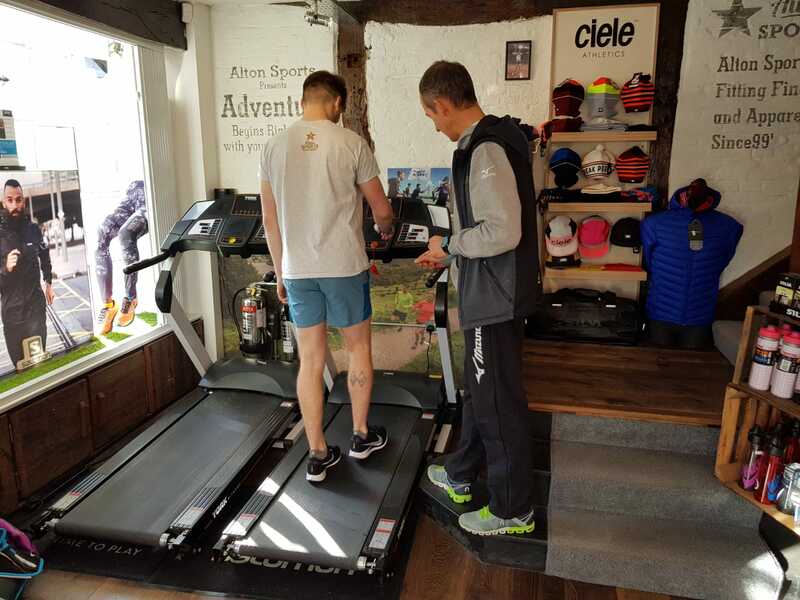 We’ve just started 2019 and it’s great that everyone has marked out new fitness goals for the year. 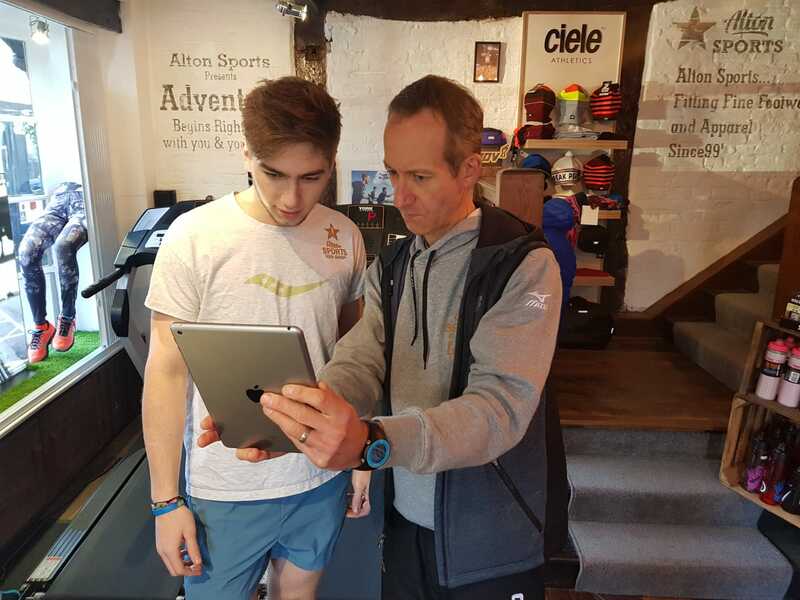 Whether it’s to start running, to get fitter, to run more or to smash some race PBs, then it’s all attainable and it’s great to work towards something to improve yourself, your health and your fitness. 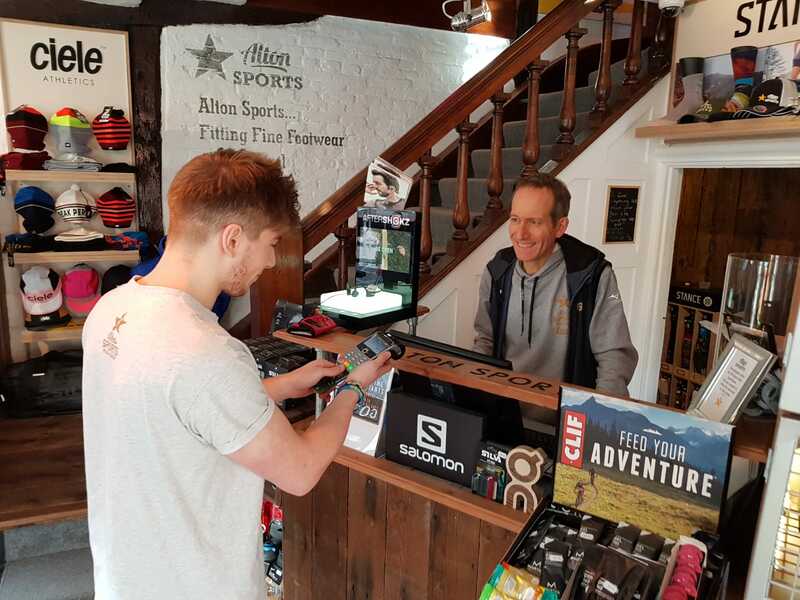 At Alton Sports we think it’s vitally important that you have the right shoes and gear to make sure all your running goals are smashed! 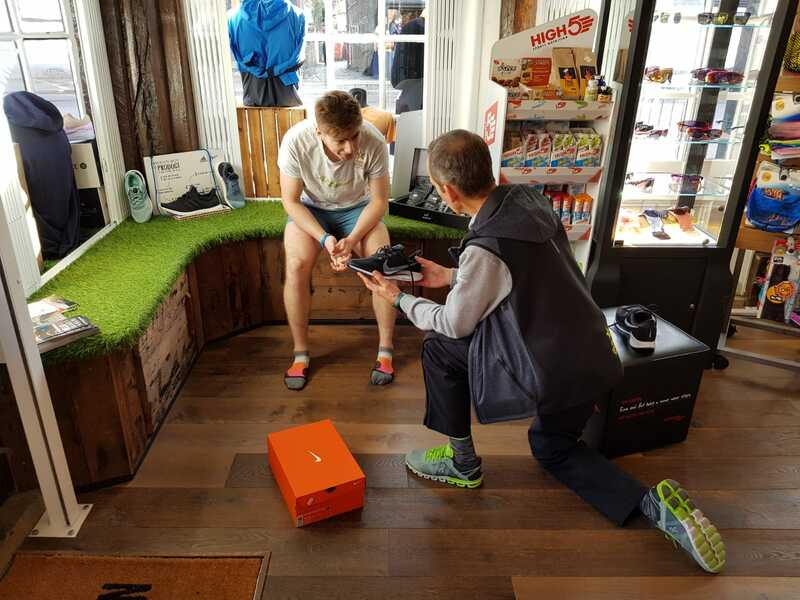 Even when you first start running, it’s important to make sure you’re running in good shoes so you don’t injure yourself and miss out on running. And if you’re a seasoned runner then it’s always exciting to try something new out or pick up a tried and tested favourite. 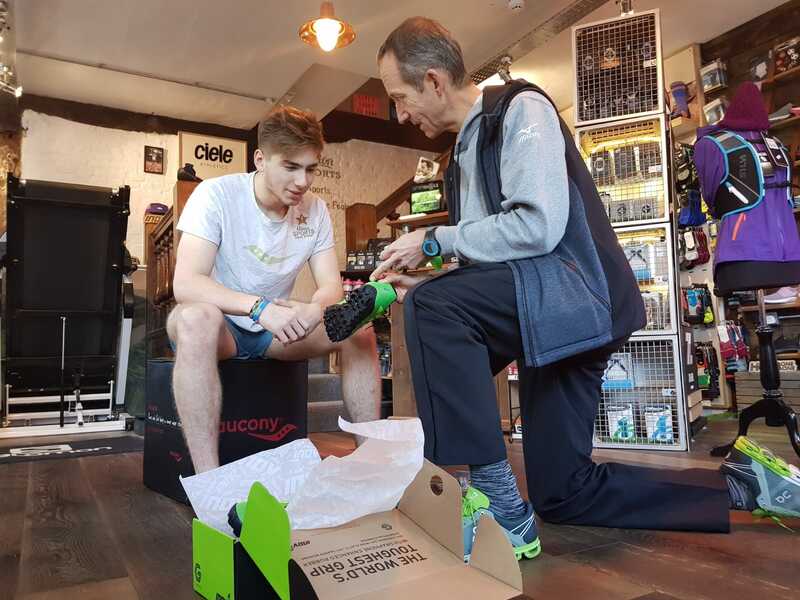 Here’s our 14 Easy Steps (with pictures) on how to pick up new shoes running shoes from us! 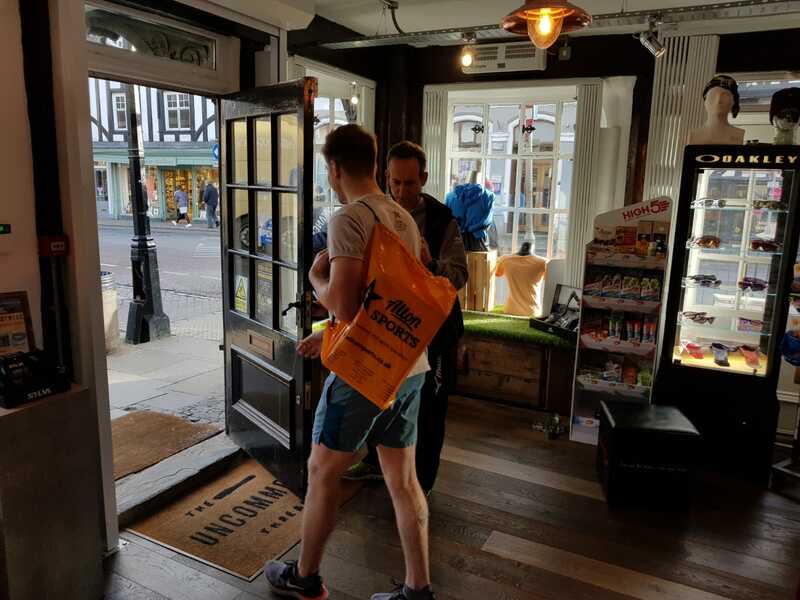 1) Choose your store (Farnham pictured), we have 5 stores in total with Eastleigh, Alton, Gosport and Four Marks making up the quintet. Then come and see us! 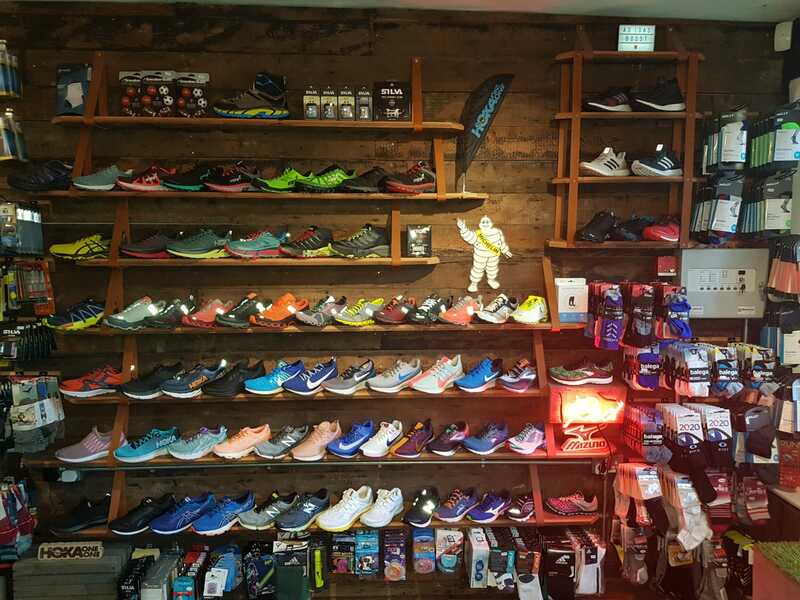 2) Admire the ridiculously large selection of running shoes we have to offer! 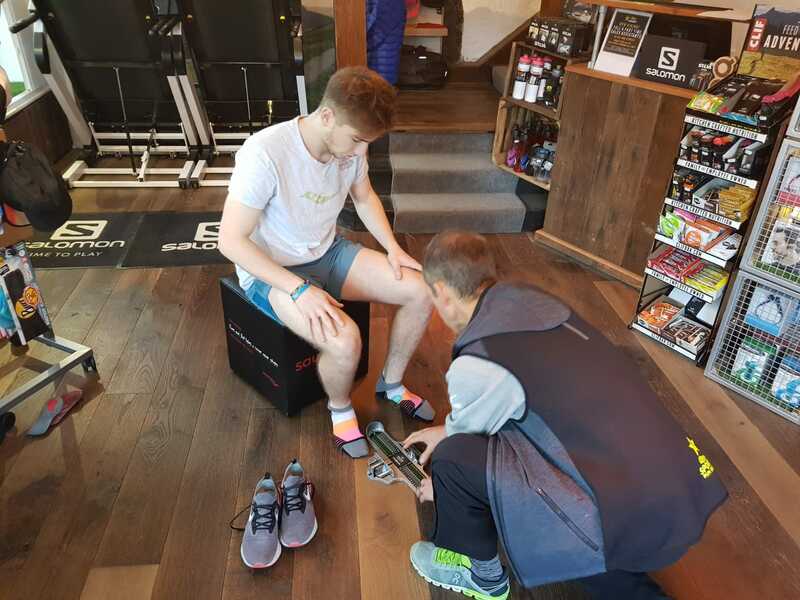 4) Measure your feet – it’s amazing how many people are surprised that they’re a size 10 when they thought they were a size 8 and they were wondering why their toes were bleeding! 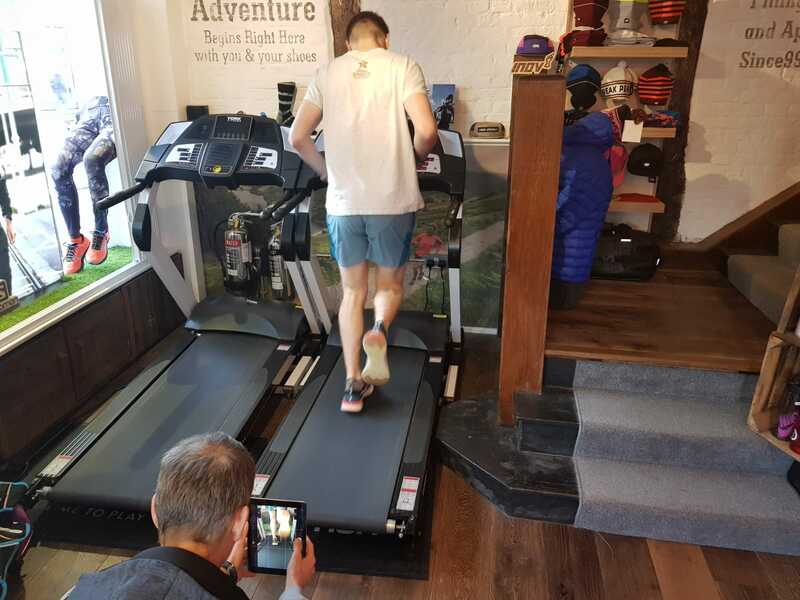 5) Do a full gait analysis to make sure that we find the perfect shoes for you! 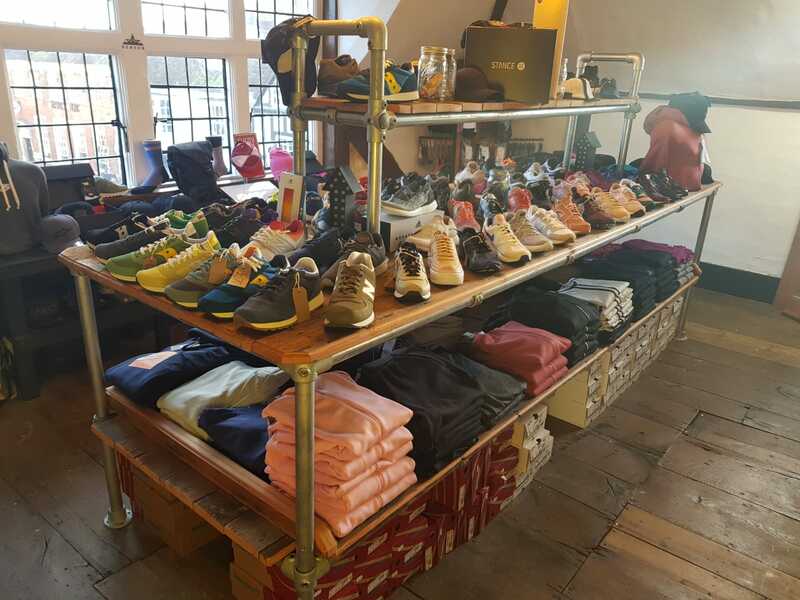 6) Try a bunch of shoes on to see what you like! 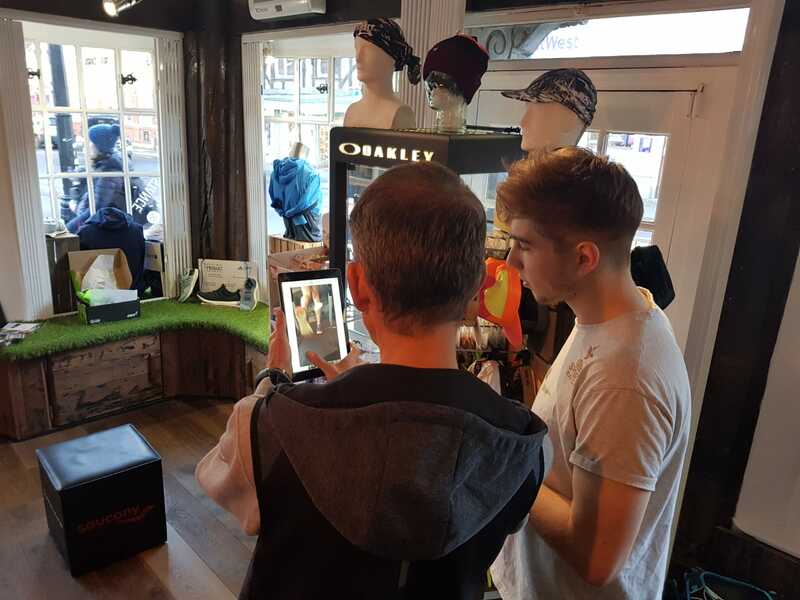 10) If you visit our flagship Farnham Store you can pop upstairs to Benson’s! 12) Pay for your purchases, safe in the knowledge that it’s an investment in your healthy future! 13) We’ll bid you farewell and we’ll even open the door for you. Well, Richard will as he’s a very polite Swedish man. 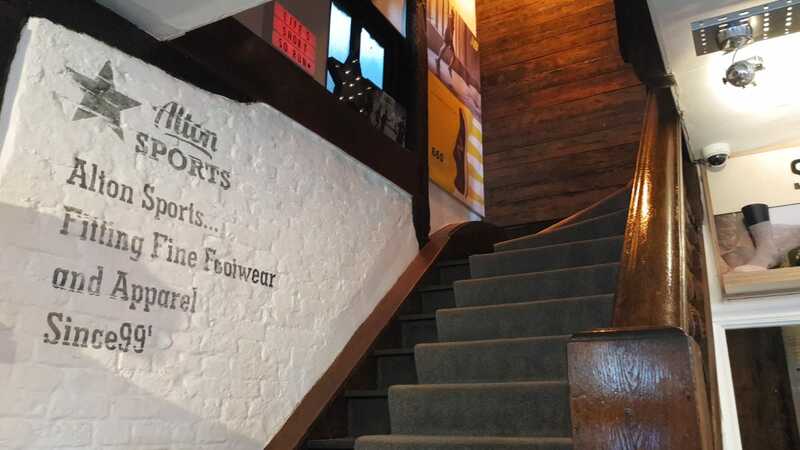 14) You’ll go home thinking about which shoes to come back for next time! Happy running! If you can’t come in and see us, then check our website and follow us on social media for everything we do! 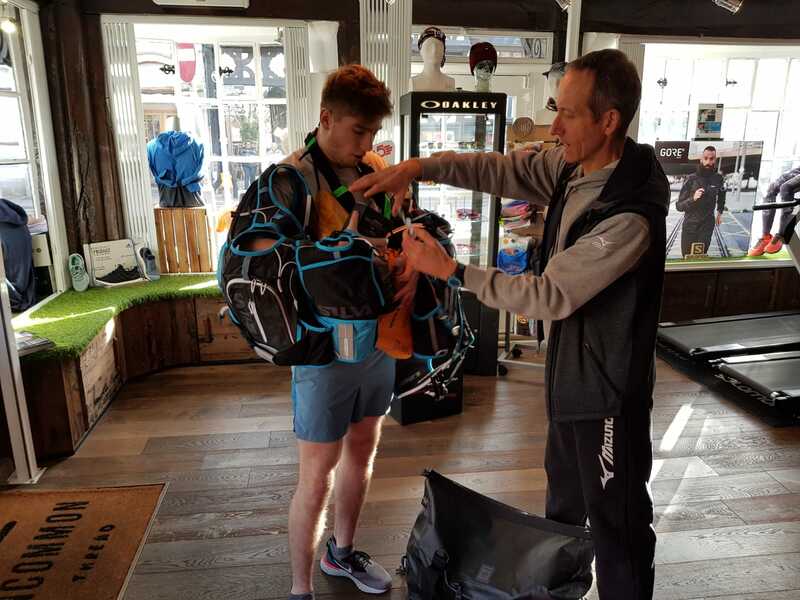 Here’s to a brilliant year of running in 2019! 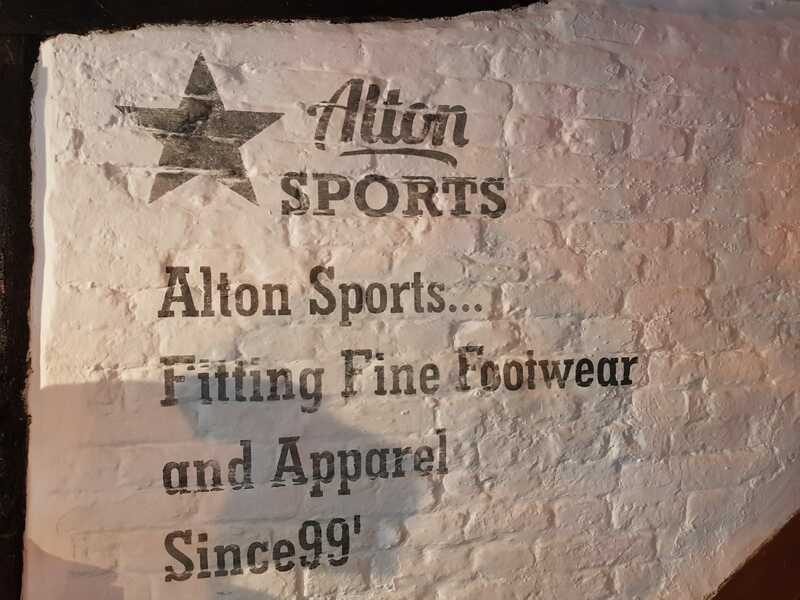 Five GREAT Christmas Gift Ideas from your friends at Alton Sports!